The popular CT01 Bideford Cargo Trouser has been designed for comfort, durability and functionality. Hard wearing with features such as triple stitched inner and outer leg seams, quadruple stitched 3M Scotchlite reflective tape and YKK brass fly zippers. These trousers are perfectly suited for working on roads or near the track side. Please note: waist is elasticated and expands approx 1½ in (38mm). 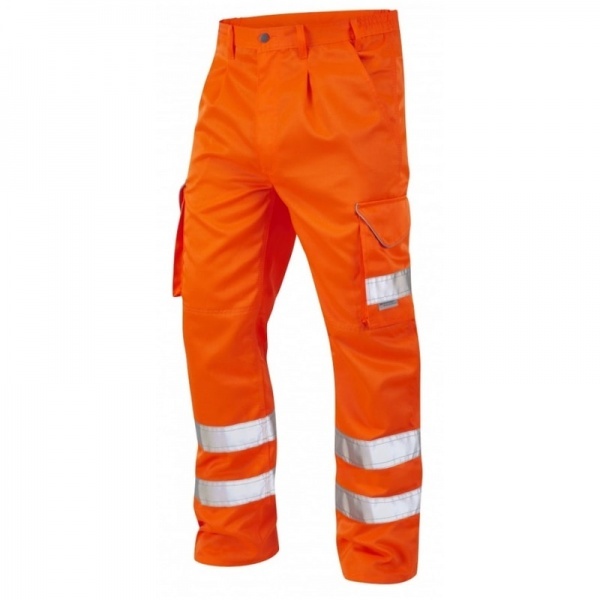 See the rest of our Hi Vis Trousers. Easy to find what you want. Delivery within three days Really good quality Impressed.